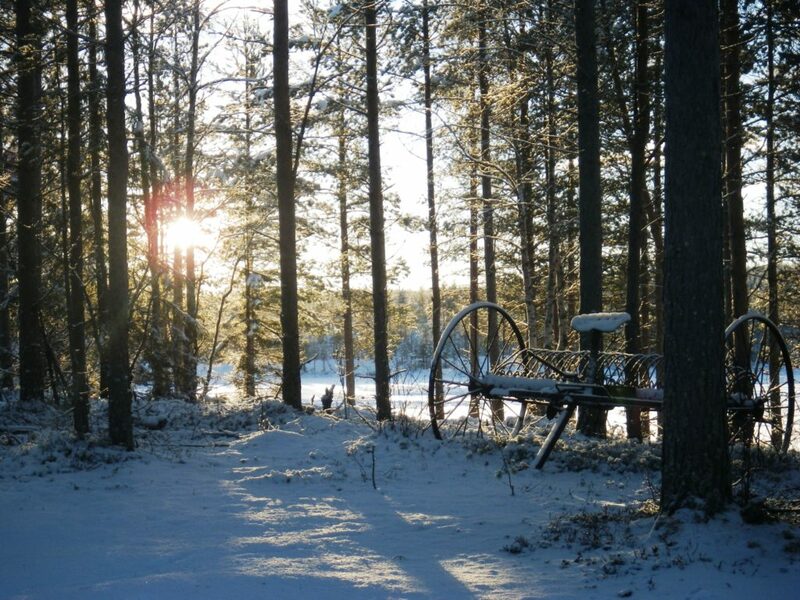 Here’s a magical way to discover Lapland surrounded by nature and animals. Arrival at Skellefteå Airport or Jörn Train Station. We pick you up and drive you to your accommodation. You meet us during a nice dinner and we give you a presentation of the next 6 days. Night in the guest house. 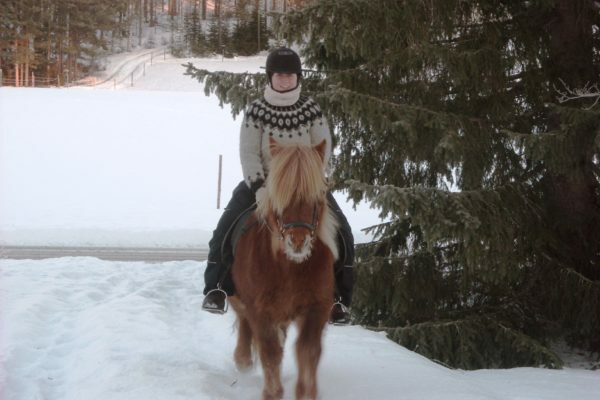 For this first day of activity you will discover the Nordic horses. 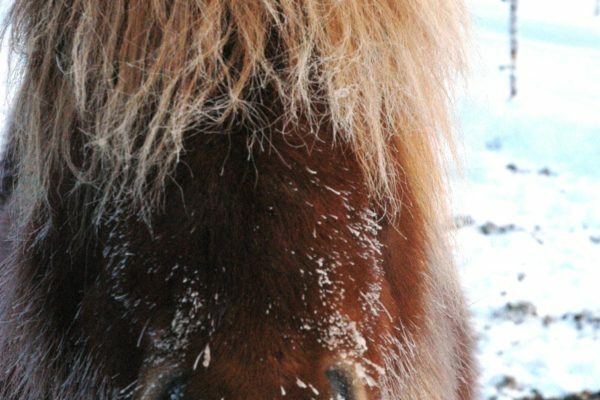 We will introduce our Icelandic horses to you, tell you a bit more about their specificities and get to know your companions for the next days. 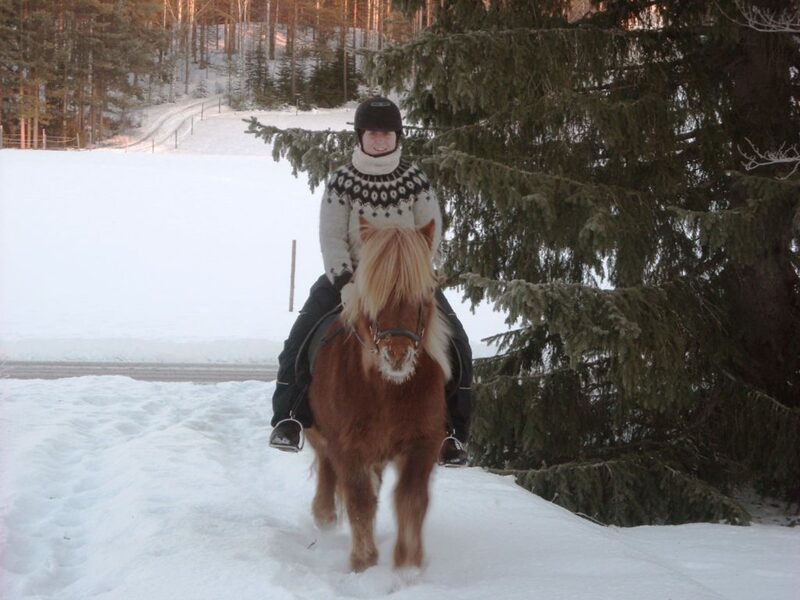 In the afternoon we go for a short ride in the forest, enjoying the first hoof steps in the snow. Dinner and night at the guest house. Theme of the day: the Sami culture and life in the Great North. 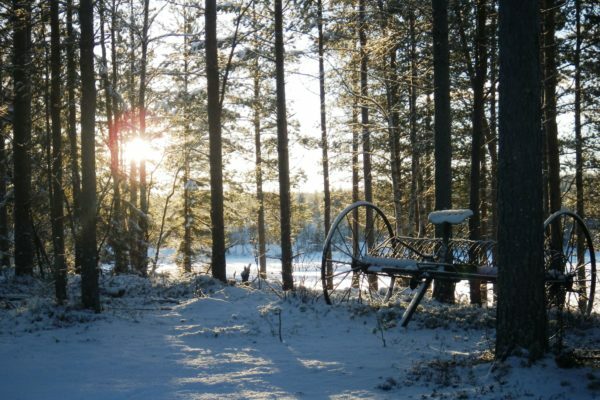 We drive to a genuine reindeer farm, where you will get to share a moment with a Sami family and will have the chance to learn more about their animals and their lifestyle. At the end of the day, we drive back to the guest house for dinner. Night in the guest house. 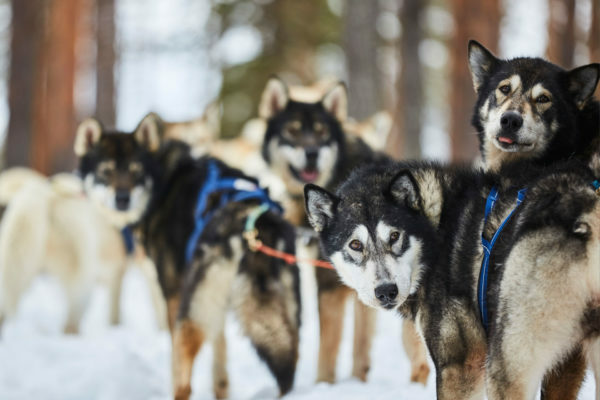 After a nice breakfast in the guest house, we will drive to Flarken, where Fabien will introduce you to his beloved sled dogs. He will make sure you are well equiped for the adventure, teach you how to drive your own sled and finally lead you for a beautiful ride in the snowy wilderness. Be ready to feel all new sensations! After your first hours as a musher, back in Svansele, we hear about each other’s thoughts and share them by a nice warming lunch. In the afternoon, we discover a new kind of skiing, with Altaï skis. These short skis originally from Russia allow us to go for a nice stroll on the fresh snow, hopefully seeing a few wild animals, or at least their tracks. We now go for a 2-day adventure! After breakfast we head up to the stables where we prepare our horses for the tour. When the horses are saddled, the lunch packed and the riders well dressed, we can start our long ride in the wilderness. 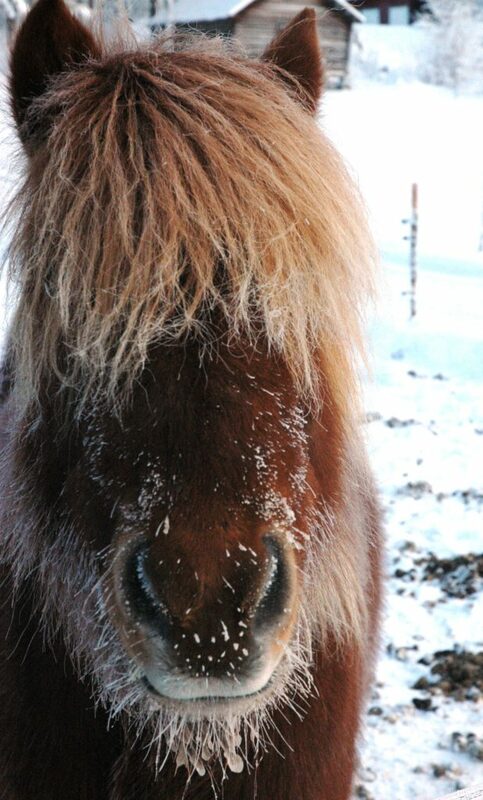 In the forest, around frozen lakes… our gentle horses will bring us to beautiful quiet places. 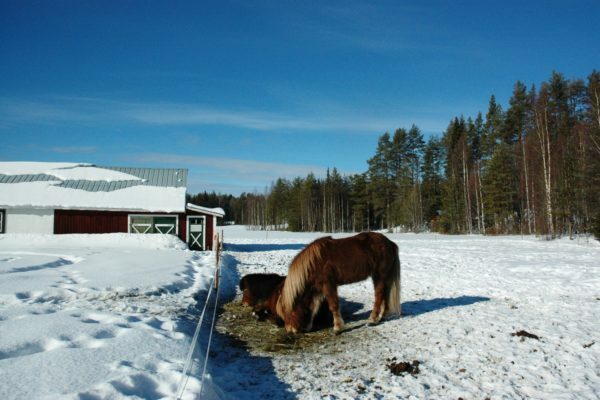 After the ride we stop in Petiträsk, where Mathilda and Rolf welcome us warmly in their farm. Our cook is awaiting for us there with a hot sauna and a warm dinner. We spend the night in the guest house while the horses gets a nice rest in the barn. The team will also of course be happy to wake you up in case of northern lights! Another great day of riding in the Taiga! 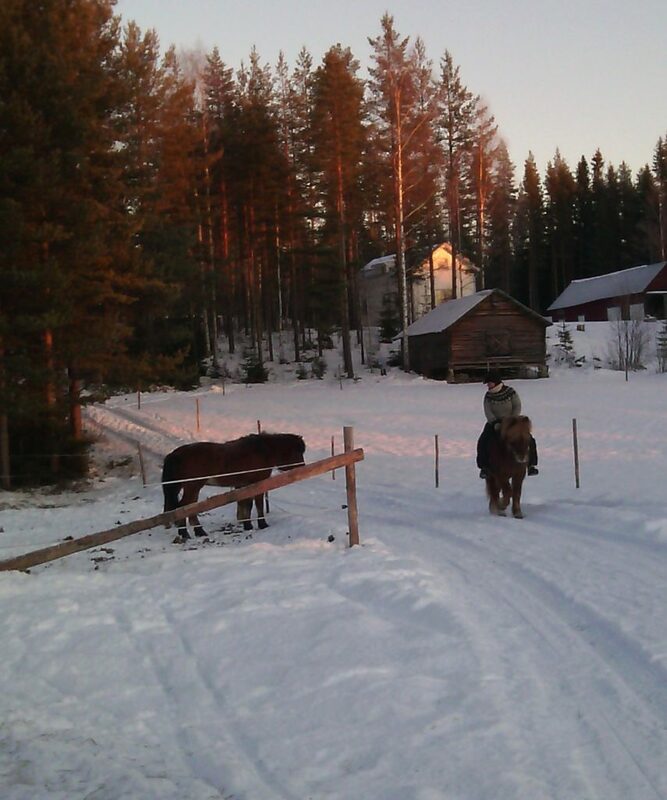 We leave Petiträsk after breakfast and take the direction of the stables. On our way, we open our eyes and hope to see reindeers or even an elk if we are lucky! 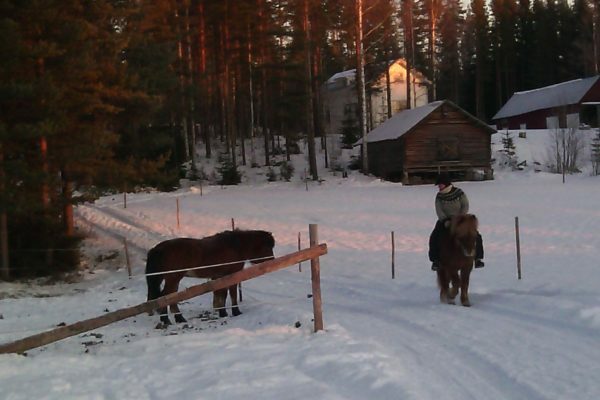 Once back at the stables we thank our horses and let them rest after this adventure. We certainly also need a rest ourselves, which we take at the guest house around a filling dinner. Night at the guest house. After breakfast, we drive you to Skellefteå Airport or Jörn Train Station so you can take your transportation to Stockholm. Dates: On demand, from December to mid-April. Departure on Tuesdays. We can adapt this program to your wishes, to the age and the level of the participants.